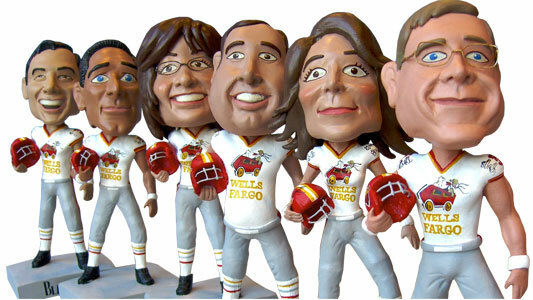 Personalized Bobbleheads, What’s the Buzz All About? The most unlikely gift in this digital era we live in seems to be getting more popular every day: personalized bobbleheads made by hand to resemble their owners. This seems something that’s highly unlikely to happen, and yet it is happening. Thought we’d write a few words to explore what the buzz is all about (even Groupon seems to think its worth to run daily deals for them), what the product actually is, and why people can’t get enough of it these days. Bobbleheads themselves have been around for a really long time. There are records of ancient China and Japan producing them in bamboo, and in case you were wondering, yes, their heads bobbled already back then. 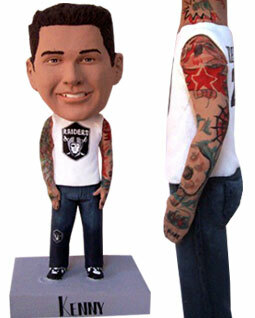 The entry of bobbleheads into popular culture took place during the 1960s when sports leagues in the United States created series of them, especially around baseball and American football. The style and material of these bobbleheads was significantly different from the ones we’ll be referring to in a moment. Back then they had cherub-like faces, simple blocks for a body and they were made of paper-mache. While all this took place, the tradition in Asia of making bobbleheads of actual people, was never really lost and lay dormant for a few decades. Then the love for popular sports increased and bobbleheads were revived and with it, the idea was expanded to reproduce famous TV stars, politicians and the odd brand mascot (the Taco Bell bobblehead and Churchill dog from the American insurance firm being the most heavily advertised in the media). 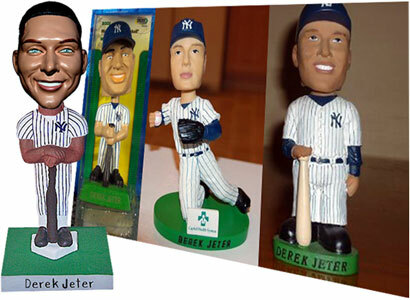 This laid the ground for personalized bobbleheads to enter into popular culture. Nobody knows exactly how it happened. Most likely a personalized wedding cake topper maker or wedding couple thought it would be an idea to make the heads of their personalized cake toppers to bobble around. Whatever the actual story, there is now a myriad of companies that for around 100 USD will create a personalized bobblehead of pretty much anyone. The product itself seems quite simple at first glance, but the devil lies in the details. What is common across all custom bobbleheads out there is they are somewhere between 5 and 7 inches, the head is somewhat cartoonish and oversized in nature and they’re not the cheapest thing in the world. From there on the differences begin, with some bobbleheads having a base as a standard and others standing on their own feet, some being only carved in polymer clay and others molded in resin. Believe it or not, some producers are starting to create their bobbleheads by machine instead of the hand-made industry standard. To make matters more complex, the style of the artist that makes them is imprinted in each of them and so comparing is a task on its own. How to tell which the good ones are? Well, there’s a few tips and tricks that will help a newby navigate the bobble head choices with confidence. First and foremost you must look beyond marketing blah blah. Every single custom bobblehead site will argue they sell the ‘real ones’ or ‘the original’, a big pile of lies, since we’ve established that they were well known way before any of our forefathers walked the earth. They will all say they have been around forever, been on major TV channels, created bobble heads of extremely famous people, etc, etc, etc. Try not to read, and instead follow your gut feel. How reputable does the website look? Is it providing you with rich, accurate information about the product, or is it full of hype? Have they invested in a clean, excellent looking shop or is it a guy in his garage who cannot give you guarantees about quality, timing and customer service? Secondly have a close look at the bobbleheads they show, how well are details like fingers and clothes made? Does the paint job look accurate or amateuristic? How many examples do they have to showcase the resemblance they can offer you? Too few examples could mean some serious cherry picking has taken place and you’re likely looking at what retailers call ‘halo models’ shown only to create excitement at the side of the buyer, but never accurate representations of what you will really get. Then there is the all important satisfaction guarantee. If you do nothing else, do not purchase a personalized bobblehead from a site that does not guarantee your satisfaction. Remember, this is a hand made product, made in 3D, based on nothing but photos you send. 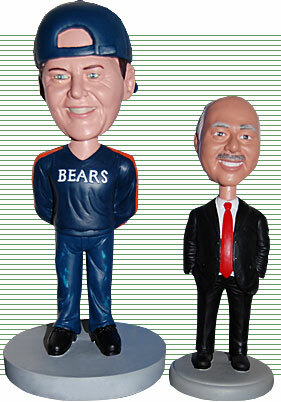 The margin for error is large and the price is not cheap, so take no risks on the purchase of your bobble head. Beware of vendors who claim 100% likeliness (resemblance) because the figurine is made by machine. This only guarantees that the machine will make a bobblehead that is identical to the digital file it is fed. However there is still human intervention and technical interpretation between the photo you send, and the file that the machine reads. The results can sometimes be a figurine that looks rather…..well, lets be kind…. awkward. Personalized bobbleheads are here to stay, that much is clear. Their popularity as wedding cake toppers is unprecedented and they are immensely versatile. We attribute their popularity to the fact that they are so very personal. They speak directly of the person being made, their life, hobbies, things they love or experiences they have shared. The hand made element may not be their most exciting aspect, but it brings a special feeling to the bobble heads, in a time when even greeting cards are digital. It represents time, personal dedication and uniqueness embedded in them. Finally there’s the surprise element these bobbleheads bring. We often struggle to find a gift that will please, and we’re surrounded by friends and family who seem to have it all. There is no better way to get the reception at the wedding off to a perfect start than by choosing an unusual wedding topper. The wedding topper is one of the main attractions at any wedding reception. A growing range of some quite unusual unique wedding toppers are seen as compared to the old fashioned wedding toppers that displayed the figures of the groom in a black mourning dress and the bride with a long white wedding gown, complete with the veil. However these designs are fading away quite fast and are being replaced by unusual and unique wedding cake toppers. There are two types of cake. One is the serious type or one sending out a social message that both he bride and the groom feel strongly about and the other is the comical and humorous wedding cake topper. The serious type unique wedding are classified as more traditional in nature, while the more recently popular ones are the humorous and comical ones. In the traditional cake topper we see the figures of the groom and the bride but you can still see the groom in a black tail coat and the bride in a customary white wedding gown. The clothes can be the actual ones the couple will be wearing on the wedding day. There are also the military wedding toppers which depict the couple in the military uniform – ready for battle! As part of the decorations even the correct military medals for bravery may be shown! Beautiful scenes of nature, a pair of dolphins in beautifully crafted glass models and castles in the sky are sure to create an ideal focal point at the wedding reception for the conservationists and lovers of nature. The choice is simply amazing when it comes to funny cake toppers. If you want to focus on some of the aspects of the bride or the groom’s character then this can be relatively easy. The couples’ favorite pastime or hobby can also be depicted as part of wedding topper. If you shop in the local and international markets, you will find that there are many wedding cake topper designs available. However, to make the wedding day a memorable event it helps to customize the topper. The latest craze in town is to make unique wedding topper which can be custom handmade figurines. At the wedding reception, the wedding cake will certainly be given a second look as guests try to soak in the message being sent out. Guests at the wedding would love to take pictures of the cake topper just to remember the event they attended. An unusual and unique wedding topper will surely make the event an affair to be remembered. 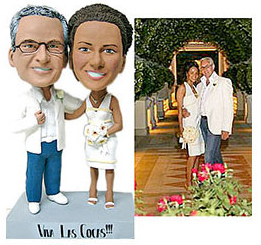 Custom handmade figurines are very popular and can be crafted by the couple! After all, nothing works better than displaying your own sense of creativity, right! Toppers for he wedding cake are easy and fun…and the wedding can do with some home-work! When you order from Whoopass Enterprises, you get a doll sculpted by one of the “Michaelangelos” of bobblehead-making. Because we know your bobbleheads are often special gifts for important events, we do everything in our power to get them to you on time. We’ve heard dozens of horror stories about the important centerpiece of the event, a bobblehead ordered from our competitors, that did not arrive in time. In fact, we have been able to rescue many events whose planners were told their dolls would not be coming after all–we can have bobbleheads to you (even for large orders) in as little as 1 to 2 weeks. 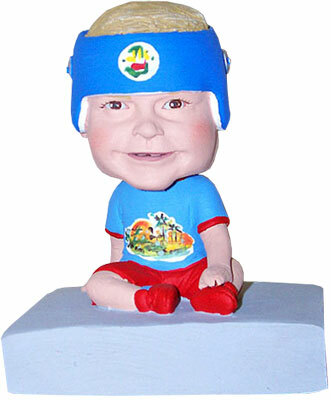 Whoopass was the first large bobblehead company to make individual dolls, and we’ve been making them for many years now. Over 95% of our customers would recommend us to a friend, which is quite a testimonial! Your product is completely designed by you, and we understand that it can be hard to capture every detail you want if language barriers and time changes are involved. We moved our production back to the USA from overseas in 2010 to provide you the best quality possible. ESPN’s Michael Wilbon joined Dennis & Callahan on Monday to talk about Game 3 of the NBA finals, the officiating, whether the Thunder would be better off with Rajon Rondo or Russell Westbrook, and more. To hear the interview, visit the Dennis & Callahan audio on demand page. As for whether Kevin Durant ought to be afforded the same treatment, Wilbon said Durant would, in time. While he felt it was too early to say definitely, Wilbon said the Thunder look like a team that will win championships, just not this year. As for whether winning a ring will change James’s legacy or if he will need to do it in a certain fashion, such as with a heroic last-second shot, Wilbon said the while dramatic plays won’t be necessary, James will need to win multiple championships. “Since the Magic-Bird era, which is how I define the modern NBA, the greatest players have won multiple championships, and I think LeBron is going to be judged that way,” Wilbon said. 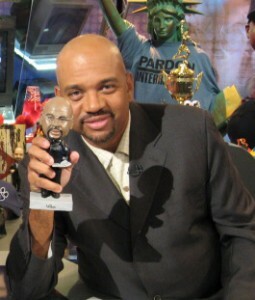 “To tell you the truth,” Wilbon said, “I like LeBron James too much to see him go through that. It’s like seeing [golfer] Phil Mickelson go through it a few years ago. I just want that story line to go away. I’d love to see LeBron James win a championship so that story line, that card is taken out of the deck, if you will. Harkening back to offseason talk about a Rajon Rondo for Russell Westbrook trade, Wilbon was asked whether the Thunder would be better off with Rondo right now. 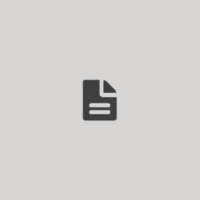 Welcome to the Whoopass Enterprises Blog! Welcome to the Custom Bobblehead Blog. Check back for frequent updates including new products, promotions, gift ideas and recent news!